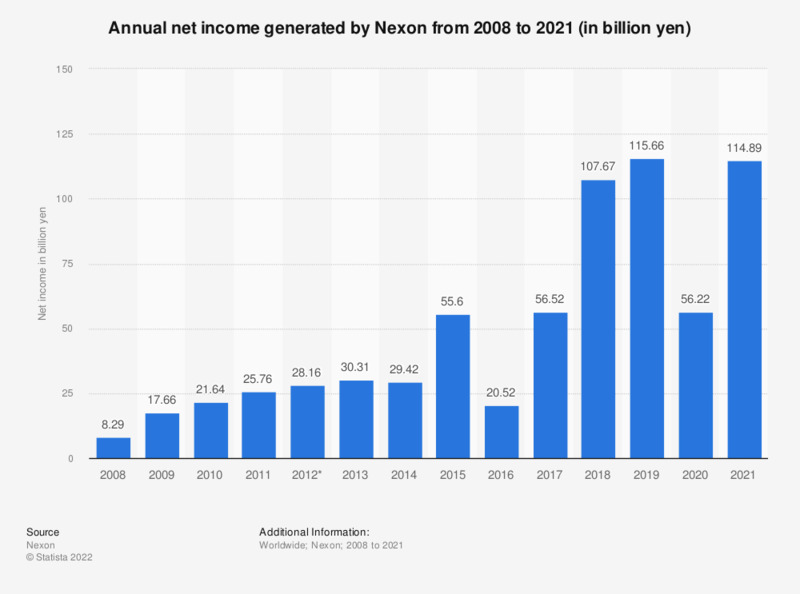 This statistic illustrates Nexon's annual net income/loss from 2008 to 2018. In 2018, the online game developer reported a net income of 102.98 million yen, up from 56.52 million yen in the previous year. Originally founded in Seoul, South Korea, the company's current headquarters is currently located in Tokyo, Japan. * Nexon has adopted the International Financial Reporting Standards (“IFRS”) from the fiscal year ending December 31, 2013. Figures other than for 2015 and 2016 come from previous financial releases.